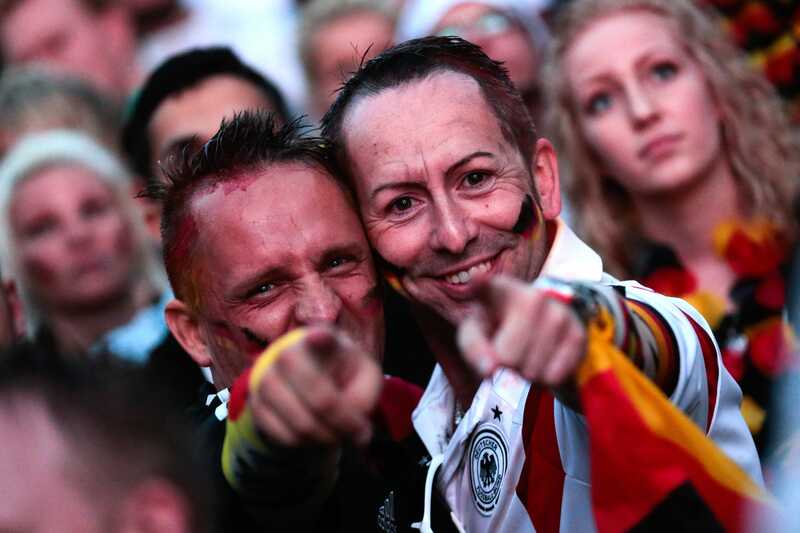 Markus Schreiber/APGerman fans react as they watch a live broadcast of the final match between Germany and Argentina at the soccer World Cup 2014 in Rio de Janeiro, Brazil. Germany trumps the US in the annual Anholt-GfK Roper Nation Brands Index as having the “best perceived brand” in the world. The Denmark-based organisation compiled the index with a total of 20,125 interviews across 20 countries to measure the global perceptions of 50 nations. The study used 23 factors including strength in exports, governance, culture, immigration, tourism, and investments. The US has held the top spot since 2009 but has recently suffered from its perceived shaky stance on “various international confrontations,” according to the report.